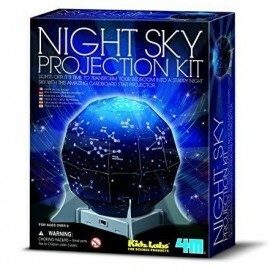 Create A Night Sky Projection Kit - spacekids - space toys, dressing up costumes, kids spacesuits, astronaut food, cool space stuff! Punch small holes on the paper hemisphere domes & assemble. With the lamp provided project a star-scape onto your bedroom walls and ceiling. Create your very own starry sky in your bedroom!